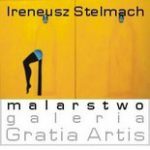 These courses, organized under the auspices of Gratia Artis, are aimed at art lovers of any age who would like to spend a pleasant and creative holiday in Poland, whilst learning about Polish art and culture through a dynamic discovery of Cracow and environs. 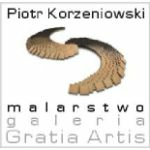 The only condition for taking part in the Art Holidays Cracow workshops is having a love of beauty and a kind heart. Every participant will receive the necessary materials (paper, charcoal, pastels, pencils, graphite, gouache, varnishes, base coats, paints, watercolours, paint brushes etc. You may, of course, bring your own favourite painting materials if you wish. Artistic mentoring and general advice always available, by a body of staff from the Cracow Academy of Fine Arts. 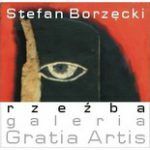 Introductory seminar (lecture with multimedia presentation): A wide sweep through the History of Polish Art and the Psychology of Creativity. Artistic activities with a choice of subject: life classes , still life, portraiture, objects. – Outdoor artistic activities in the Old Town and further afield in picturesque rural locations. Drawing and painting, be it landscape, detail or object. – Polish Country Art Picnic with peasant food. Optional get togethers with students of other nationalities. 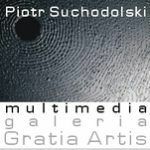 For those doing the Course Young Art In Old Cracow 18-25. Single, double or twin rooms with one bathroom for every two rooms in a Student Residence within central Cracow, in the Old Town. Breakfast service from 7 am to 10 am. Due to heavy tourism it is essential to book by the 20th May 2019. Prices per person / Student Residence. Comfortable rooms (TV, radio, telephone, Internet). Prices per person / Hotel**. Air-conditioned and comfortable rooms offer hotel guests a nice and enjoyable rest. (Bathroom, TV, radio, Direct dial telephone, Wireless Internet). Total Fees for students 18-25 – 940 euro for course without accommodation. By paying 50% of the total fees in euro 470. Please ensure you quote student’s name when making payment. Hotel bookings are the responsibility of each participant. Your registration will be acknowledged by email and you will then receive further information about transport from the airport to your hotel etc. workshop coordinator – Piotr Suchodolski contact: 604 062 988 from 8.00 am to 8.00 pm.